Fantasy sports competitions give die-hard fans a chance to field their own teams in virtual matches for huge payoffs. Participants create teams by choosing players from a real-world sports league like the US National Basketball Association, the National Football League, or England's Premier League. As real games are played, a fantasy team competes and is ranked against others based on the actual-game statistical performance of its players. 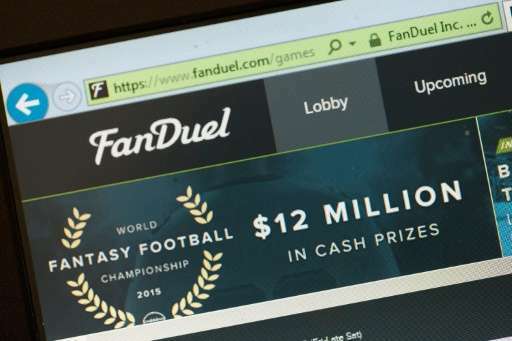 Winners of the biggest fantasy games can take home $1 million or more. Lawmakers in several US states however see this as just a new form of gambling, and are looking into ways to regulate the industry. The business could face a key legislative vote on its future in New York Thursday. Adding to the uncertainty, the Fantasy Sports Trade Association conference in New York this week was rattled by reports that two industry heavyweights, FanDuel and DraftKings, may merge to help survive as they battle for legitimacy. "You can weather the storm. Hunker down, survive this!" FSTA president Paul Charchian told about 300 attendees. "We are going to have a better environment going forward." Fantasy sports have boomed thanks to a huge infusion of capital and support from major sports leagues. Settling the legitimacy battle is crucial before the lucrative fall National Football League season launches. Fantasy sports reached its apex in late 2015, when DraftKings and FanDuel, generously financed like Silicon Valley tech startups, undertook a massive marketing blitz ahead of the NFL season that drew in millions of new players. The competitions are particularly popular with tech-savvy millennials who have integrated the games into the smartphone and social network culture. But the growth momentum was dampened by legal challenges in several states. The industry is battling regulation efforts in states that include New York, Texas, Florida and Illinois. New York Attorney General Eric Schneiderman and others believe the fantasy sports giants engage in false advertising, and violate consumer protections and anti-gambling laws. Supporters say that fantasy sports is a game of skill, noting that players analyze data to choose winning teams in competitions that can last one day or months. But critics say that, like gambling, players are betting on the outcome of real-life and virtual games over which the fantasy players have no actual influence. Despite the challenges, data presented at the FSTA conference Tuesday showed that the industry is still growing. Fantasy sports participation in the US rose about 1.7 percent over the past 12 months, with the average player spending $556, up almost 20 percent, according to market research firm Ipsos. Even so, Ragan Rector, an account executive with SCA Promotions, which insures prizes, said about half the companies he has worked with over the last five years have gone out of business. "There was a big boom and a lot of capital came in and now it's becoming increasingly difficulty for them to be viable," Rector said. Worried about legal issues, a leading industry payment processor even abandoned fantasy sports earlier this year. 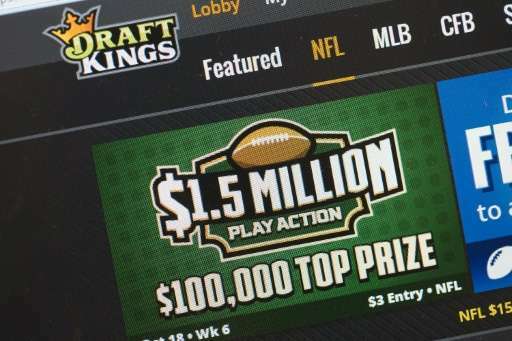 Industry champions were keeping their fingers crossed for a positive outcome in New York's capital Albany, where representatives must act before Thursday's end of the legislative season if fantasy sports is to resume in the state before the NFL season opens in September. Approval in New York "would be a significant win both in practical terms—that's a major market that's worth a substantial amount of money—and also in symbolic terms, in the sense of reversing some of the negative momentum," said Chris Grove, a partner at consultancy Narus Advisors.